Atlanta United announced today that two players received international call-ups to the U.S. Men’s National Team (USMNT) for the upcoming FIFA window (Nov. 12-20). Brad Guzan and Darlington Nagbe are joining the USMNT for upcoming friendlies in Europe. Both players are available for selection for Sunday’s second leg of the Eastern Conference Semifinals against New York City FC. Guzan, 34, started 33 matches for Atlanta United during the regular season. He posted 20 victories, which set a new single-season career best mark for him. The veteran keeper is coming off his third career playoff shutout, second with Atlanta United, last weekend. He finished the regular season with 81 total saves and eight clean sheets. Guzan earned his 59th cap for the UnitedStates in a 1-1 draw against Peru on Oct. 16. Nagbe, 28, is back with the USMNT for the first time since March 2018. The midfielder returned to action in September after an injury sidelined him for more than two months during the regular season. 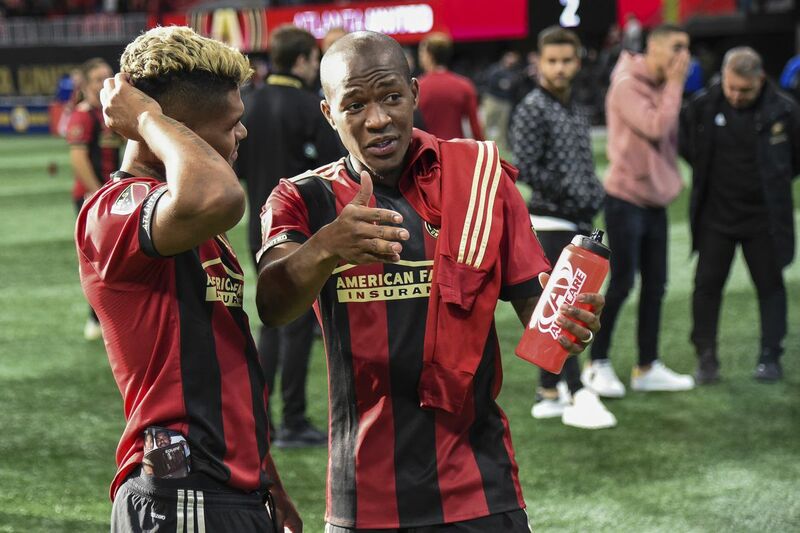 Nagbe has started the last six matches and has three assists in 24 total appearances for Atlanta United this season. The USMNT has two friendlies scheduled for this upcoming international break. They will travel to London to take on England at Wembley Stadium on Nov. 15, before facing Italy on Nov. 20 in Genk, Belgium. Atlanta United returns to action Sunday, Nov. 11 when it hosts NYCFC at Mercedes-Benz Stadium in the second leg of the Eastern Conference Semifinals (5:30 p.m., ESPN, Sports Radio 92-9 The Game). Atlanta United won the opening leg 1-0 at Yankee Stadium.